A delicate geometric necklace! Shiny gold chain holds 4 thin gold wire linked circles. 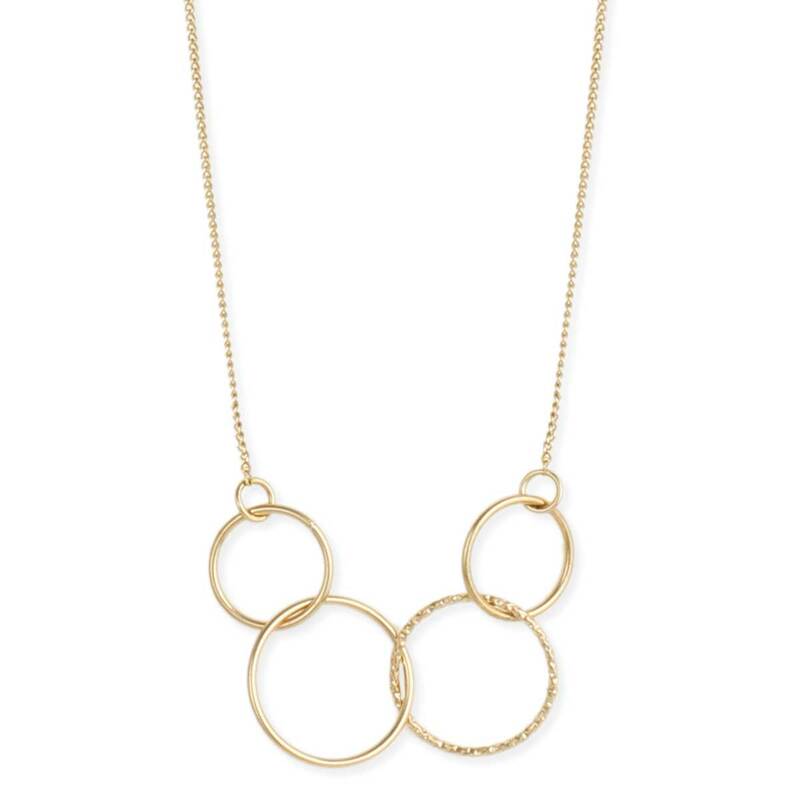 Smooth circle base makes for a subtle necklace with one textured circle to add a unique look. 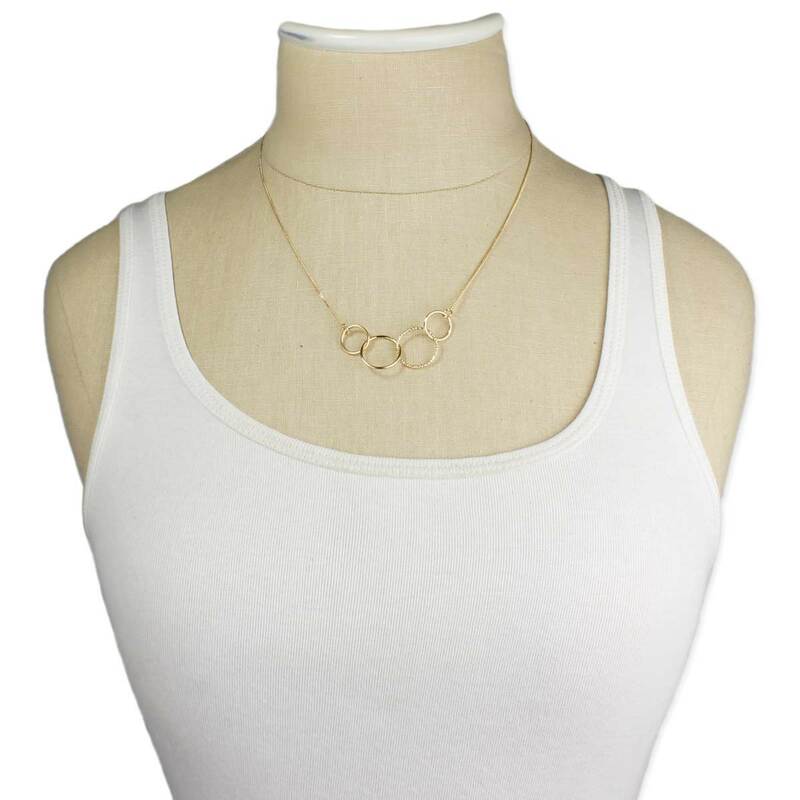 With it's elegant understated design, this makes a great everyday necklace.